The Numero 9 has a low stance with 21-inch wheels and a long hood. Its front end is designed for plug-in full-hybrid technology, according to Citroen. Citroen will debut the Numero 9 concept car at the upcoming Beijing auto show. The concept will highlight the French brand's hybrid technology and offers design hints for new models in the upscale DS line that Citroen is launching in China. The concept signals styling cues for a compact sedan, an SUV and a large-segment sedan for the DS line, Citroen said on Friday. 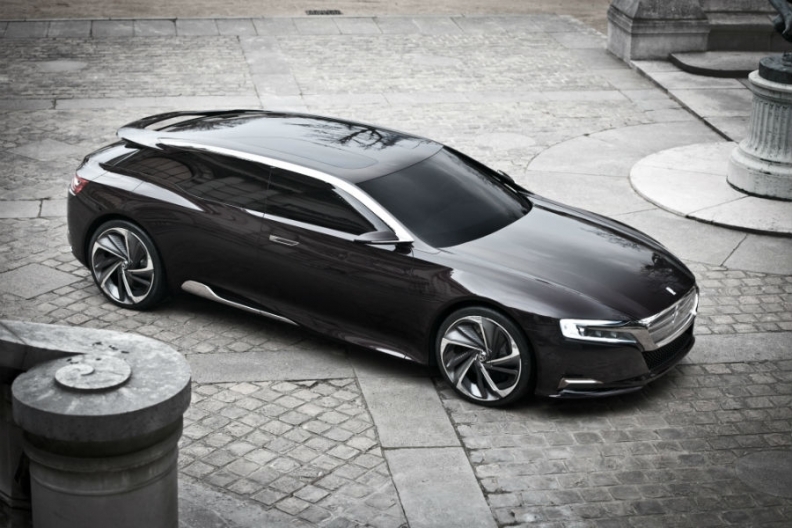 The first of these models is likely to be a large sedan called the DS9 that will be the line's flagship car. The 4930mm-long concept has plug-in hybrid drivetrain with a 70-hp electric motor on the rear axle that can be combined with a gasoline or diesel engine depending on the market. The Beijing show model has a 225-hp 1.6-liter gasoline engine. It can be driven 50 km in electric mode. Fuel consumption is 1.7 liters per 100km and it has average CO2 emissions of 39 grams per kilometer. It also has four-wheel drive, with the electric motor driving the rear wheels and the combustion engine the front wheels. The DS line currently comprises the DS3 subcompact hatchback, DS4 compact and DS5 midsized model. Citroen says it has sold just over 200,000 DS models since the line launch in Europe two years ago. PSA/Peugeot-Citroen's joint venture with Changan Automobile Group will start selling the upscale DS range this spring in China.